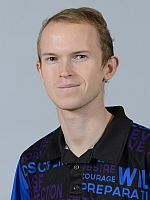 Two-handers Jesper Svensson of Sweden and Jason Belmonte of Australia won best-of-three Round of 8 matches Thursday to headline an all-international field advancing to the PBA Cheetah Championship presented by PBA Challenge Mobile Game finals which will be taped Saturday by ESPN at 4:15 p.m. PST and live streamed on ESPN3. 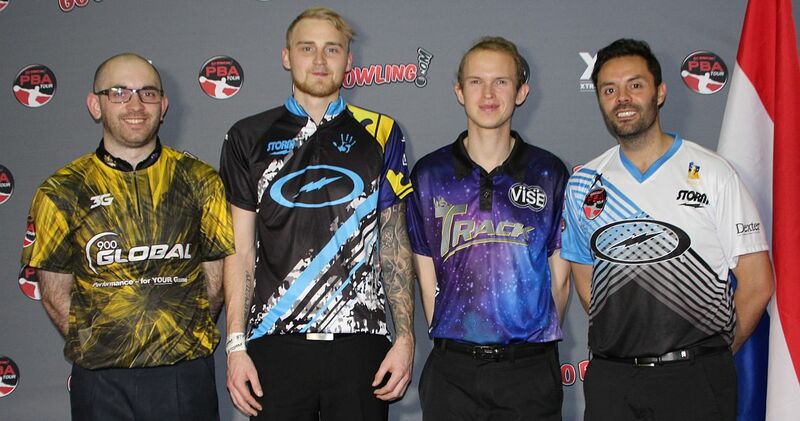 Pictured above from left: Sam Cooley, Jesper Svensson, Thomas Larsen and Jason Belmonte. Svensson (right) qualified for his second GEICO PBA World Series of Bowling IX presented by Eldorado Reno Resorts Properties telecast by sweeping PBA Hall of Famer Norm Duke of Clermont, Fla. on the Cheetah 33 oil pattern, 2-0 (259-214, 268-201). 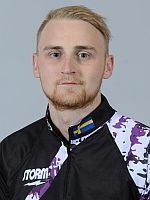 Svensson, a six-time PBA Tour winner, earned top-qualifier honors for the PBA World Championship finals after cashers’ rounds were completed earlier in the week. 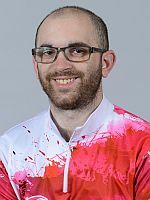 Belmonte, who qualified second for the World Championship finals, beat Ryan Ciminelli of Cheektowaga, N.Y., 2-1, in his best-of-three match to also make his second WSOB IX finals telecast. After losing the first game 234-206, Belmonte came back to win the next two, 259-189 and 300-214. For Belmonte, a 15-time Tour winner and three-time PBA Player of the Year, the Cheetah Championship finals marks his 17th World Series of Bowling telecast appearance. The Cheetah Championship, which will be aired on ESPN Dec. 24 at 1 p.m. ET, is also part of the 2017-18 Go Bowling! PBA Tour schedule. Making it two players from Australia in the finals, Sam Cooley (right) swept PBA Hall of Famer Parker Bohn III of Jackson, N.J., 2-0 (243-212, 279-194) to advance to his first WSOB final. Cooley’s best Tour finish was third in the 2016 Barbasol PBA Players Championship. Two-time PBA Tour winner Thomas Larsen (left) of Denmark rounded out the all-international finals field by sweeping South Africa’s Francois Louw, 2-0 (232-189, 247-232), to advance to the final. The finals telecasts will use a format where the four finalists simultaneously bowl one game on the same pair of lanes with the top two scorers advancing to a head-to-head final match. Best-of-five games, winners advance to round of 8, losers earn $1,200. Best-of-three games, winners advance to ESPN-taped finals Saturday at 4:15 p.m. PT. ESPN telecast Dec. 24 at 1 p.m. ET. Losers earn $2,000. 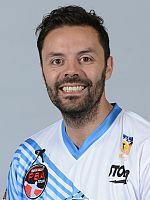 300 games (1) – Jason Belmonte.